Here is my portion of the blog train this month :) There are 5 commercial use OK crayons in basic school colors. They are all in one PSD file to make it easier. TOU state that these crayons may be used this item in scrapkits or for other commercially aimed endeavors. They may not be redistributed as a stand alone product or as a CU item. Do not share. Direct others to blog to download. Thank you so much for this post. 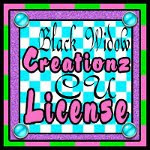 I want to let you know that I posted a link to your blog in CBH Digital Scrapbooking Freebies, under the Page 1 post on Sep. 01, 2011. Thanks again. Love the crayons! Thanks very much. Thanks so much for this and your other freebies!! !